A quirky and colourful alternative to more serious (or dull) close-up magicians. 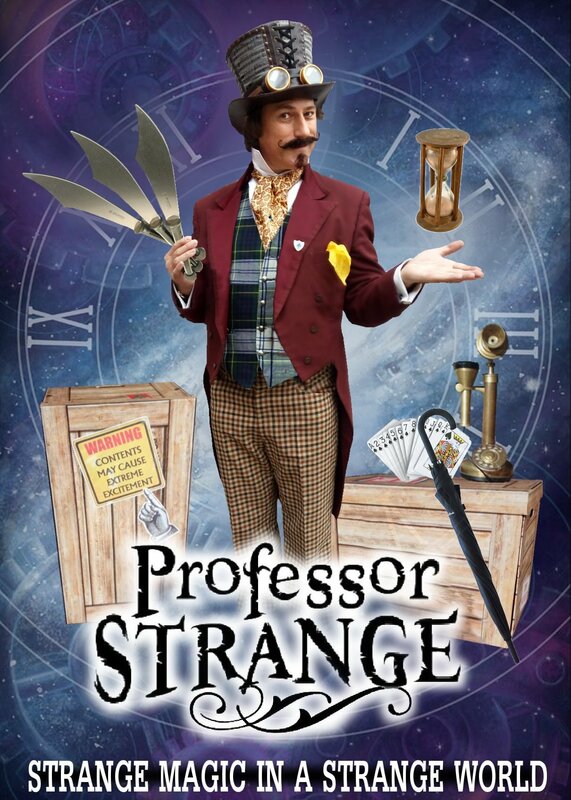 Professor Strange is loud and lively, with crazy interactive magic that will make your jaw hit the floor in surprise! 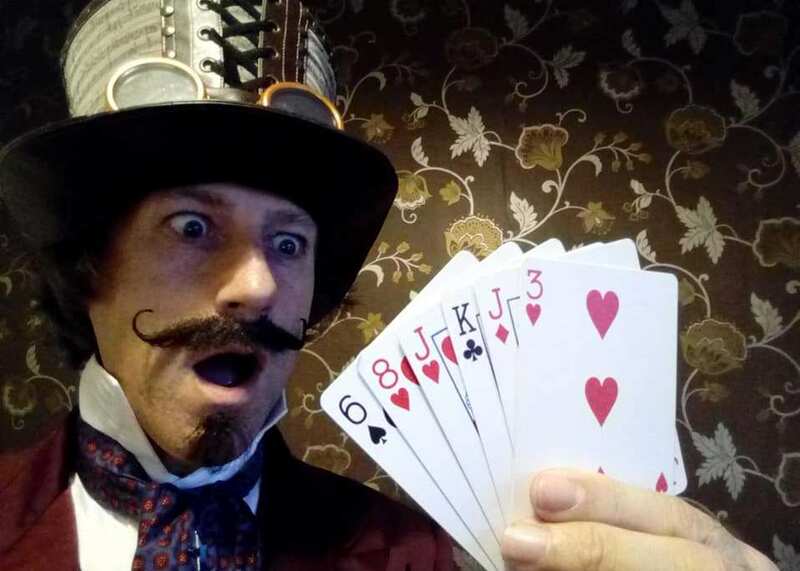 As featured on the 2018 series of Britain’s Got Talent, whether working his magic at tables during dinner or in the bar area at a drinks reception, Professor Strange is your answer for a truly entertaining and charismatic walkabout magician. As featured on the ITV show "Britain's Got Talent" the eye-catchingly colourful Professor Strange is a quirky, energetic and lively multi-skilled walkabout character entertainer for festivals, shopping centres and corporate events up and down the country, meeting and greeting your guests with his eye catching juggling, jaw dropping magic, skillful balloon modelling and mini on-the-spot shows. 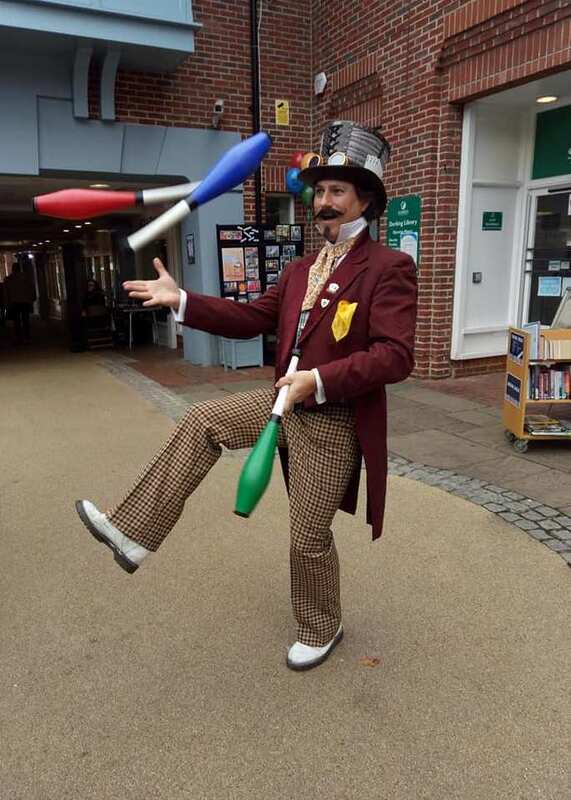 All from an expert performer in the walkabout environment as booked by hundreds of shopping centres, festivals, tourist attractions and other events throughout the UK. Professor Strange's show "Strange Magic" as seen on the TV show "Britain's Got Talent" is a lively, quirky, fast moving and colourful mix of magic, circus and illusion with lashings of humour and audience involvement, ideal for a family audience at festivals, tourist attractions and holiday parks. The full standard show lasts for 45 minutes, however shorter shows are also available, as are short 5-10 minute spots. The show is very flexible in regards to space and technical support and can work in temporary festival stages, fields, town squares or anywhere you could hold an event.